NeighborWorks America is a public nonprofit corporation created by Congress that tries to help homeowners by providing counseling and legal and financial assistance. The corporation, whose legal name is the Neighborhood Reinvestment Corporation, carries out this work largely through a national network of 235 affordable housing and community development organizations. Since 2006, this network has generated $20 billion in reinvestment in their communities. When the mortgage crisis began to endanger millions of homeowners in the United States, NeighborWorks America set up several new programs to assist Americans with information on refinancing and other ways to survive the difficult times. The corporation’s efforts to help during the mortgage crisis haven’t always gone smoothly, such as the public outcry that was produced at a seminar in Atlanta. Also, NeighborWorks America found itself in the middle of a public rebuke by a Republican House leader over funds the corporation awarded to an organization being investigated by the FBI. The roots of the NeighborWorks system go back to Dorothy Mae Richardson, a homemaker and community activist in Pittsburgh, Pennsylvania, who enlisted city bankers and government officials in 1968 to join with her block club to improve her neighborhood. The alliance persuaded 16 financial institutions to provide loans to the community, and create a local foundation that capitalized a revolving loan fund. The organization was first known as Neighborhood Housing Services (NHS). In 1970, the Federal Home Loan Bank (FHLB) concluded that savings-and-loan officers needed special training in lending in older, urban markets. The FHLB trainings spread around the country, but eventually turned into workshops for starting other Neighborhood Housing Services organizations, now referred to as NeighborWorks organizations. In 1973, President Richard Nixon prepared to announce a moratorium on federal housing programs. To help soften the blow, the Department of Housing and Urban Development (HUD) entered into a handshake agreement with the FHLB on a five-year initiative to expand NeighborWorks organizations across the country. The initiative was coordinated by a specially created Urban Reinvestment Task Force, for which HUD provided the funding and the FHLB provided the staff. The HUD-FHLB partnership was expanded to include the Federal Reserve, the Comptroller of the Currency, and the Federal Deposit Insurance Corporation. Limited access to funding for the NeighborWorks organizations’ revolving loan funds threatened the network’s effectiveness and further expansion. Then Congress enacted the Community Development Block Grant (CDBG) program, and provided that CDBG grants could capitalize NeighborWorks loan funds. In 1974, NHS partners in Oakland, California, conceived of a national loan-purchase resource that bought loans from local NHS offices, thus replenishing their local loan funds. They named it Neighborhood Housing Services of America (NHSA). Its initial funding came from the Urban Reinvestment Task Force. The FHLB established the Office of Neighborhood Reinvestment in 1975 with Bill Whiteside serving as its first director. A year later, the office expanded to 14 staff members working with NHS offices in 45 cities. The new entity established regional offices in Boston, New York, Atlanta, Kansas City, Cincinnati, and San Francisco to support the growing NHS network. In their first decade, local organizations concentrated on perfecting their core services for owner-occupied housing in their initially targeted neighborhoods. Pittsburgh’s NHS staff helped central northside residents with referrals to reputable contractors, follow-up inspections to ensure work quality, counseling and assistance in securing work-related financing, referrals to participating financial institutions for credit-worthy clients, and custom-tailored loans from the NHS loan fund for others. But blight and decay infected whole swaths of territory, including apartment buildings, shopping areas, and rural communities—so local organizations adjusted their strategies by expanding into additional neighborhoods and adding new programs. Neighborhood Reinvestment staff helped devise new programs, such as revitalizing distressed apartment buildings and shopping areas, promoting homeownership, and training jobless youth in home construction. Meanwhile, other communities formed new NeighborWorks organizations, and rural communities experimented with adapting the model to their areas. Soon, almost half the local organizations had expanded their core services beyond rehabbing owner-occupied housing. In the early 1980s, network organizations were beginning to see themselves as lasting institutions, assuming long-term responsibility for neighborhoods in need. Then double-digit inflation and sharp drops in state and federal resources combined to pose a formidable threat. Fewer residents became bankable, while soaring demand drained NeighborWorks loan funds. Selected insurance companies that Neighborhood Reinvestment had been gradually bringing into the NeighborWorks partnership provided key support. Insurance executives, for example, had been experimenting in Chicago NeighborWorks neighborhoods, testing out new insurance products and marketing strategies. Nearly $30 million in below-market insurance company commitments were secured to expand NeighborWorks lending throughout the network. Major financial institutions and corporations provided other crucial support. Together, the commitments enabled local NeighborWorks organizations to continue and even accelerate their neighborhood revitalization work. Local organizations, searching for broader public support, learned the media value of selected projects, such as major in-fill housing, owner-built homes, and massed-volunteer neighborhood painting projects. Local organizations in 1984 gained further visibility as part of a national network in the first congressionally proclaimed “NeighborWorks Week” (then called Neighborhood Housing Services Week). President Ronald Reagan signed a proclamation calling for a national observance of the week in a special Oval Office ceremony. Even as some local organizations were struggling to survive, others were experimenting with adapting the European concept of mutual housing to American neighborhoods. Mutual housing, a variation on the cooperative-housing model, was seen as a strategy for providing reliable affordability for a community’s ongoing renters. Alameda Place in Baltimore became the site of the network’s first mutual housing association demonstration. For the country’s burgeoning homeless population, NeighborWorks organizations also pursued single-room occupancy and transitional-housing projects. As the complexities of revitalizing neighborhoods continued to grow, network executive directors, board members, and key staff could keep pace through Training Institutes, which Neighborhood Reinvestment launched in 1987. The institutes further professionalized available network training opportunities. When Bill Whiteside retired as executive director of Neighborhood Reinvestment in 1990, George Knight, a community development practitioner, succeeded him. Network organizations moved toward still greater professionalism in the early 1990s with Neighborhood Reinvestment’s move to charter qualified local efforts. Chartering, among other things, confirmed an organization’s financial stability and its partnership with residents, government officials, and business. Rutland West NHS in Vermont became the first NeighborWorks organization to receive a Neighborhood Reinvestment charter in 1993. As the 1990s unfolded, Neighborhood Reinvestment increasingly was able to attract investments from national financial partners. To harness the investments, it developed a series of new programmatic strategies in homeownership, asset management, community organizing, resident leadership, and access to affordable financing and insurance products. In the first effort in 1991, Neighborhood Reinvestment facilitated the launch of RNA Community Builders Inc. This alliance of rural NeighborWorks organizations banded together to find creative ways of addressing rural housing concerns and increasing the focus on organizational resources for rural development. In 1992, twenty NeighborWorks organizations came together and launched the NeighborWorks Campaign for HomeOwnership. The initial campaign (1993–1997) grew to involve more than 100 organizations, assist 15,880 families into homeownership, and attract more than $1.1 billion in total investments. A second, five-year campaign was launched in 1998. Out of the campaigns emerged two nationally recognized strategies. One was Full-Cycle Lending, an innovative, comprehensive system of pre- and post-purchase homebuyer education and flexible financing products. The other, NeighborWorks Home Ownership Centers, offered all the services and training that customers needed to locate, purchase, rehabilitate, insure, and maintain a home. In 1994, the National Insurance Task Force was organized to help the insurance industry and community-based organizations better understand each other. Community residents were able to explore the difficulties they faced in obtaining affordable property insurance, and the industry was able to refine its marketing approaches. To enhance the role of residents in revitalization, in 1996 Neighborhood Reinvestment began developing a series of initiatives that focused on community organizing, strengthening neighborhood associations, developing resident leaders, and building capacity in communities. The series, in time, evolved into the Resident Leadership Initiatives. In 1999, the NeighborWorks Multifamily Initiative was created to increase organizations’ capacity to take on new housing development by attracting additional public and private investment, strengthen their asset-management systems, and help them develop resident leaders. NHSA celebrated its 25th anniversary and achieved from Standard and Poor’s AA rating for its $75 million collateralized mortgage bond that was fully subscribed at issue. And, for the first time, Neighborhood Reinvestment hit the $1 billion mark for annual direct investment in distressed communities. Neighborhood Reinvestment began the new millennium with a new executive director, Ellen Lazar. An attorney and seasoned professional in the field of community development, Lazar laid the groundwork for the organization’s near-term future: a five-year corporate strategic plan focused on building the capacity of the NeighborWorks network. The second five-year NeighborWorks Campaign for Home Ownership exceeded its goals when it came to a close at the end of 2002, with 47,648 new homeowners, $4.5 billion in total investments, and 272,976 homebuyer counseling participants. Of the new homeowners, 94% purchased their home for the first time. A new five-year NeighborWorks Campaign for Home Ownership began in 2003 with a goal of creating 50,000 new homeowners, including 30,000 minority homebuyers. In December 2007, it was announced that NeighborWorks America expected to double its staff of 65 counselors to meet public demand during the mortgage crisis. The organization was working with Hope Now Alliance, a collection of nonprofits and lenders, to offer a hotline for homeowners concerned about their mortgages. The hotline experienced a spike to 3,000 calls a month, from 300 in 2006. In February 2008, NeighborWorks reported that they had distributed$130 million to 32 State Housing Finance Agencies, 16 HUD-approved Housing Counseling Intermediaries and 82 community-based NeighborWorks organizations. Builder magazine announced that NeighborWorks America is one of the nation’s largest residential homebuilders. The 2009 “Builder 100” list ranked the organization at 82; in 2010, it jumped to the 46th place, a 67% increase. On May 25, 2010, NeighborWorks received a $1 million grant from The Rockefeller Foundation. The funds were to support infrastructure development and improve technical support as well as support nonprofit housing counseling capacity and help prevent foreclosure. The money would outreach and support data management and technical support to participants through use of the database CounselorMax. In June 2011, the NeighborWorks partnered with the U.S. Department of Housing and Urban Development (HUD) to launch the Emergency Homeowners’ Loan Program (EHLP), a billion-dollar operation established by the Dodd-Frank Wall Street Reform and Consumer Protection Act. Available in 35 states and Puerto Rico, EHLP provides mortgage payment support to qualifying homeowners—those who have suffered a substantial drop in income due medical emergencies or adverse economic conditions. 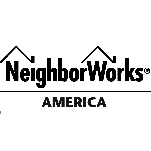 NeighborWorks America is a federally created non-profit corporation that works with a network of 235 organizations to help individuals buy and maintain their homes, mostly through counseling and legal services. Providing financial support, technical assistance, and training for community-based revitalization efforts, the corporation is led by a board of directors consisting of key leaders from the Federal Deposit Insurance Corporation, National Credit Union Administration, the Federal Reserve System, Office of the Comptroller of the Currency, the Department of Housing and Urban Development, and the Office of Thrift Supervision. Based in Washington D.C., NeighborWorks America has seven district offices and two regional offices across the United States. National Foreclosure Mitigation Counseling (NFMC) Program is a $475-million program designed to increase the availability of foreclosure counseling services across the country. Grants are being made to fund foreclosure counseling and legal assistance to homeowners at risk of foreclosure to housing counseling intermediaries approved by HUD, to qualifying state housing finance agencies (HFAs), and to NeighborWorks organizations. Funds are also being used to train foreclosure counselors by the NeighborWorks Center for Homeownership Education and Counseling (NCHEC) through NeighborWorks Training Institutes, regional trainings, place-based trainings in partnership with intermediaries and HFAs, and the development of an online Foreclosure Basics e-learning course. http://www.nw.org/network/neighborworksprogs/ownership/default.asp - tophttp://www.nw.org/network/neighborworksprogs/foreclosuresolutions/default.aspForeclosure Help and Hope for Homeowners is a program working with the Ad Council to create a national public service awareness advertising campaign and provide resources for families faced with foreclosure. The campaign includes television, radio, newspaper, magazine, Web, and outdoor advertising, in addition to direct mail and grassroots marketing. The program also runs a national hotline, 888-995-HOPE, that offers counseling by experts at HUD-approved agencies. http://www.nw.org/network/neighborworksprogs/foreclosuresolutions/default.asphttp://www.nw.org/network/nfmcp/default.aspNeighborWorks Center for Foreclosure Solutions offers training courses and resources for foreclosure mitigation counselors, conducts public outreach campaigns to reach struggling homeowners, and works with local leaders to create sustainable foreclosure intervention programs. NeighborWorks Applied Research hopes to aid NeighborWorks’ national initiatives and NeighborWorks America by designing, structuring, implementing, and documenting its efforts. National Homeownership Programs offer strategies to create and sustain quality homeownership and to expand sustainable homeownership for people of modest means in every state. Strategies include pre-purchase education, loan origination and brokering, and affordability assistance. NeighborWorks Center for Homeownership Education and Counseling (NCHEC) supports long-term homeownership for low-income families by providing education, certification, and professional tools and resources to homeownership practitioners. A new addition to NCHEC’s efforts includes a Foreclosure Basics e-learning course. NeighborWorks Community Building and Organizing Initiative encourages activities that promote a tripartite asset for individuals, families, and communities. The program also supports resident leadership and related associations as well as community building activities to about 80 NeighborWorks organizations. NeighborWorks Financial Fitness works with national partners to develop a “Financial Capability” program to provide financial education regarding money management to individuals and families. National Real Estate Programs helps both network and non-network organizations in real estate development and management. Programs that were previously only available to few members include Real Estate Grants, Strength Matters, and Asset Management, among others. NeighborWorks in Rural America builds housing and economic capacity of rural community development organizations. Since its establishment in 2000, it has developed a network of 80 organizations and has invested more than $1 billion in rural communities while directly assisting more than 32,000 rural families. NeighborWorks Week celebrates the accomplishments of the NeighborWorks network and is an opportunity to increase the network’s outreach. During the week, participants gather to improve houses and landscapes and give neighborhood tours. NeighborWorks Awards is an annual awards program that gives four awards: first, the NeighborWorks Government Service Award, which honors individuals who improve lives of those in communities of need; second, the Dorothy Richardson Resident Leadership Award honors one resident volunteer in each of the eight districts who have shown significant leadership; third, the NeighborWorks Business Leadership Award honors private sector community volunteer who have dedicated time and talent; and fourth, the NeighborWorks Partner Award honors the largest private-sector financial supporters of NeighborWorks, some of which have included Bank of America, United Way, Chase, and AIG. Achieving Excellence in Community Development Program is an intensive program for executive directors and senior staff in community development that works with Harvard University’s Kennedy School of Government to overcome challenges faced by the represented organizations. CounselorMax is a Web application used by housing counseling agencies in the United States, including HUD compliance. NeighborWorks Orbanizational Assessment Services is designed to help nonprofits find financial and technical aid. NeighborWorks Place-Based Training offers “place-based” training courses to a number of training venues including NeighborWorks Training Institutes, symposia, Community Leadership Institute, and other forums that draw a national audience. NeighborWorks Training Institute aims to strengthen communities through training, certification, networking opportunities, and other resources. Community development practitioners, nonprofit organizations, policy makers, public officials, lenders, developers, community organizers, and residents have utilized the institute during one or more of the four Training Institutes held annually. Success Measures at NeighborWorks America (pdf) is a social enterprise that provides a range of “outcome-focused evaluation services and tools for community development organizations and their funding and intermediary partners.” The program uses a web-based system known as the Success Measures Data System to create and measure milestones and impacts of the organizations’ methods. NeighborWorks publications include an annual report, Alert e-newsletter, and 100 reports and studies regarding housing and community development. In the 2011 Fiscal Year, NeighborWorks America provided $4.2 billion in direct investment, aided 261,600 families, possessed a rental portfolio of more than 90,000 housing units, created 26,000 jobs, and issued 21,800 training certificates. According to NeighborWorks’ FY 2013 Budget Justification (pdf), its $127.1-million budget is earmarked for financial support of the organization’s support network and the financing of its National Foreclosure Mitigation Counseling (NFMC) Program ($85.9 million). The company expects to invest in assistance to 242,500 individuals and families for affordable housing and counseling, generate more than $3.5 billion in investment in distressed communities, assist 13,500 families to become new homeowners, create or preserve 6,500 rental homes, maintain rental housing for 93,000 households, preserve 16,000 units of affordable housing and repair an additional 30,000 units, issue 16,000 training certificates, and provide housing counseling to 90,000 people. ACORN is a political group that generally associates itself with left-wing politics, including supporting then-candidate President Barack Obama. However, it has supported both the Democratic and Republican National Conventions. During the 2008 election, Republicans accused ACORN of committing voter registration fraud by helping register unqualified voters, and thus tipping the vote in favor of the then-presidential candidate Obama. In October 2008, Republican candidate John McCain’s campaign posted on the Internet that ACORN was at fault for “massive voter fraud.” Although the facts to support such allegations are dubious, some problems regarding fake registrations were found. McCain’s campaign advertisements also alleged that ACORN’s home loan programs were partially at fault for the mortgage crisis, although these claims are also questionable. On July 9, 2008, The New York Times reported that the brother of ACORN’s founder, Dale Rathke, embezzled $948,607.50 from related groups in 1999 and 2000. The matter was dealt with internally and a contract forcing the Rathke family to repay the embezzled amount was signed. In the 2009 congressional election for the 23rd district of New York, Conservative party candidate Doug Hoffman also accused ACORN of “tampering with democracy” and “stealing” the election for his Democratic opponent Bill Owens. ACORN has also been under the scrutiny of many conservative activists for helping people involved in prostitution and other illegal activities buy a home. In 2009, James O'Keefe and Hannah Giles went undercover as a pimp and prostitute to an ACORN office in Brooklyn and got advice on how to lie about their profession and how to handle their illegal earnings so that they could secure loans for a house. Several ACORN employees at the office were fired, but ACORN also filed a lawsuit against Fox News and their alleged co-conspirators in their so-called undercover investigation. Videos were released on April 2, 2010, but several months later the California Attorney General determined that they had been tampered with. Giles, age 23 in 2012, studied journalism at that time at Florida International University, while O’Keefe, 27 in 2012, was a student from Rutgers University. The two met on Facebook and decided to expose corruption. Giles engaged in such activities, “Because I love America, I love God, and corrupt institutions don’t help that.” O’Keefe subsequently was arrested for an attempt to tamper with Senator Mary Landrieu’s phones in her New Orleans office. In 2009 Congress passed—and President Obama signed into law—the Defund ACORN Act, which halted its federal funding. A U.S. District Court judge in Brooklyn ruled, in December 2009, that the House violated the Constitution when it barred ACORN’s funding, and that the grant funding must continue. A federal appeals court reversed the ruling in August 2010. With private donations drying up, the group filed for Chapter 7 liquidation in November 2010 and closed down. A series of independent investigations—conducted by the GAO, the California Attorney General and the Brooklyn U.S. District Attorney, between December 2009 and June 2010—concluded that ACORN employees had conducted no illegal activities and did not mismanage its funds, contrary to the accusations of conservative groups. In fact, the California Attorney General report found that the secretly recorded O’Keefe/Giles videos had been deceptively edited and violated state law. In March 2011, HUD issued nearly $80,000 in grants to Affordable Housing Centers of America (AHCOA), which conservative groups have charged is an offshoot of ACORN. Judicial Watch claimed that the grant recipient is identified as “ACORN Housing Corporation,” uses ACORN’s address, and has the same board of directors and offices as ACORN. Both the General Accountability Office and HUD’s Inspector General claim the two groups have no connection. Several of ACORN’s chapters, in an attempt to survive, had severed ties with the national organization and changed their names while retaining their original tax I.D. numbers. Grovetta Gardineer has been the chair of NeighborWorks America (NWA) since June 28, 2016. Established in 1975 as the Neighborhood Reinvestment Corporation, NWA is a nonprofit corporation created by Congress that helps homeowners by providing counseling and assistance through a national network of affordable housing and community development groups. Gardineer is on NWA’s board because she is senior deputy comptroller for compliance and community affairs at the Office of the Comptroller of the Currency (OCC), a newly-created position in March 2016. Born Grovetta Dwythea Nelson circa 1960, Gardineer was one of two daughters of Rev. Grover D. Nelson, who ultimately became pastor of Westminster Presbyterian Church in Laurinburg, North Carolina. After graduating Laurinburg’s Scotland High School in 1978, she earned a B.A. at Wake Forest University in 1982 and a J.D. at North Carolina Central University in 1987. Gardineer went to work for the Federal Deposit Insurance Corporation (FDIC) circa 1988 as an attorney handling enforcement actions and preparing policies and regulations affecting the financial services industry, including the policy statement for minority-owned institutions. She also developed national enforcement training for legal and examination staff. She joined the Office of Thrift Supervision (OTS) in April 2006 as assistant managing director of supervision policy. From 2008 to 2010, she served as the managing director for corporate and international activities. She was also vice-chairperson of the Subcommittee on Community Banks at the American Bar Association. Gardineer joined the OCC in 2010 as the managing director for supervision policy, where she was responsible for several programs, including capital policy, credit risk, trust operations, accounting policy, and information technology risk assessment. She was named deputy comptroller for compliance risk in February 2011, where she oversees development of policy and examination procedures relating to consumer issues and anti-money laundering. Grovetta Gardineer is married to Vaughn A. Gardineer, who works for the Justice Department. The couple has three children, Veahna, Blaise and Vance. In the midst of an ongoing economic crisis many economists blame on reckless behavior by banks and other Wall Street financial players, President Barack Obama on July 2, 2011, named an experienced state-level bank regulator to serve as the new Comptroller of the Currency. The head of the Office of the Comptroller of the Currency (OCC) serves as the chief bank regulator and fiscal watchdog for most of the banking industry. Curry’s Senate confirmation hearing was held n July 26, but he has yet to be confirmed. As part of the Treasury Department, OCC supervises national banks, enforces federal banking laws, rules on new charter and merger applications for national banks, and conducts basic research on banking and the economy. Approximately two-thirds of all banking assets in the United States come under the supervision of the OCC, including those of bank of America, Wells Fargo, Citigroup and JPMorgan Chase. During the current banking crisis brought on by the collapse of the mortgage industry, the OCC has had to step in and take control of banks on the verge of failure. It also has been accused of helping to create the problem with the mortgage crisis through its failure to properly regulate. Born September 1, 1957, in Greenwich, Connecticut, Curry is a 1978 graduate of Manhattan College, and earned his law degree from the New England School of Law in 1981. He entered public service in 1982 as an attorney with the Massachusetts Secretary of State. Curry’s career soon turned toward bank regulation when he joined the Massachusett’s Division of Banks in 1986. From 1986 to 1987, he was Assistant General Counsel, and from 1987 to 1994, he served as First Deputy Commissioner of Banks, coinciding with the New England banking crisis of the late 1980s and early 1990s. Curry served as Acting Commissioner from February 1994 to June 1995, and as Commissioner of Banks from 1995-2003, which made him the chief bank regulator in Massachusetts. In 2003, President George W. Bush nominated Curry for a six-year term (beginning January 12, 2004) as a member of the board of directors of the Federal Deposit Insurance Corporation (FDIC), the independent federal agency responsible for insuring deposits in banks and other thrift institutions. Curry also served as chairman of the Conference of State Bank Supervisors from 2000 to 2001, as a member of the State Liaison Committee of the Federal Financial Institutions Examination Council from 1996 to 2003, and as the Chairman of the Board of Directors of NeighborWorks America, a nonprofit organization chartered by Congress to aid in neighborhood revitalization. Curry is a member of the Connecticut and Massachusetts Bars.